Most of the furries at Anthrcon (#anthrocon, #furries) dress up in complete fur suits and are completely anonymous. I think this ability to hide in plain site attracts a lot of the furries. However, some do not hide their identities and use elaborate make up techniques to highlight their costumes. I think this is very daring and brave and shows a self confidence that some of the others may lack. 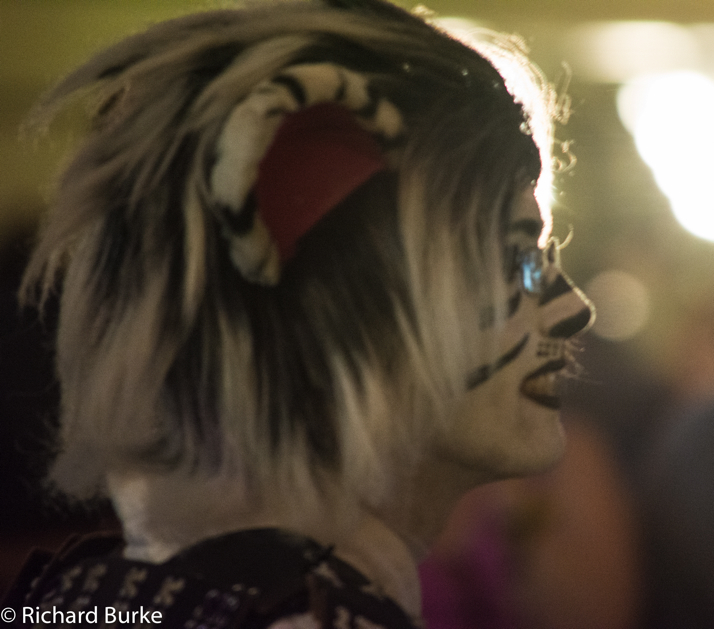 This entry was posted in Commentary, People, Photojournalism, Pittsburgh and tagged #anthrocon, #furries, cartoon, characters, Convention Center, Davic Lawrence, Parade, Pittsburgh. Bookmark the permalink.